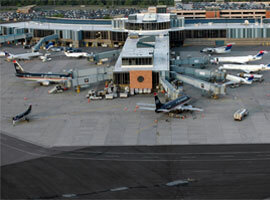 Book2park.com offers secure and affordable airport parking out of ALB - Albany International Airport. We select our partners very carefully in order to provide you with a high quality airport parking experience. Reserve your parking now at any of our partner hotels or parking lots and save money getting the peace of mind you deserve! Our rates include complimentary shuttle service to and from ALB - Albany International Airport. Book with us and get the best deal you can get on airport parking! Driving distance from ALB : 1 mi. Shuttle Hours: 4:30am-12:30am. On Demand. 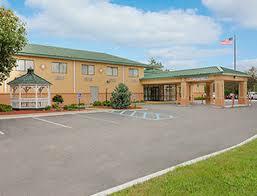 We are conveniently located one mile from the Albany International Airport (ALB). We are literally just down the street from the airport and one of the closest facilities near the ALB Airport. FREE shuttle service included with your parking reservation. The shuttle runs daily from 4:30am - 12:30am. It runs on call/on demand, so when a customer needs it we will run it. Please allow a little "buffer" time in case the shuttle is transporting other customers when you arrive. NO ROOM RESERVATION REQUIRED TO PARK WITH US! Our rates are much cheaper than parking at the Albany International Airport. Parking Instructions: Please enter the front desk first to do a brief parking check-in and request for your "long term parking" sticker. If the parking stayed is more than two weeks, Please park at the back of the building. If the parking stay is less, please park at the right side of the building.